Awake to the sound of the morning church bells ringing right in the center of Arcos de la Frontera. Once a palace, the “Casa del Corregidor” Parador Hotel is located in a three-sided plaza along with the Ducal Castle and the Santa María church. While on one side the cosy Parador rooms look out over the orange trees that fill this square, on the other side guests enjoy sweeping views from the cliffs that drop dramatically to the Guadalete River. You have an excellent restaurant on site at the Parador. Be sure to try the Salmorejo soup that attracts attention from far beyond the province’s borders. Salmorejo is a hearty local version of the cold “gazpacho” eaten elsewhere. The Casa del Corregidor’s coffee shop is a wonderful place to stop for a drink and snack even if you aren’t actually staying in the hotel. The views through the large picture window look out over the countryside and to the San Pedro church, which, according to local legend has a group of fans that feel a bit of rivalry with those who attend the Santa María church across the plaza. If you stay in this Parador, only the brave should attempt to drive up to the Parador in San Pedro Square. 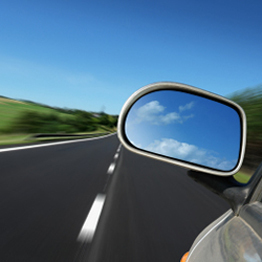 There is one particularly narrow arch to negotiate where a large saloon car needs to tuck in both wing mirrors and seek guidance from a passenger. You need to be lucky to find a parking place in the San Pedro Square, however you can drop off passengers and luggage and return (long way round) and park the car in the underground car park in Plaza de Andalucia and walk back up. The Parador staff are very friendly and obliging, more so than many other Paradors. Arcos de la Frontera provides an excellent base from which to explore the area any of the numerous nature reserves throughout the province of Cádiz. The Sierra de Grazalema Natural Park and Arcos Lake are the nearest of these natural wonders. The Arcos Lake is actually a reservoir (embalse) and part of it is a protected natural area called “La Cola del Embalse de Arcos”. Jerez is a half hours drive and so is Grazalema in the direction of Ronda. The "Casa del Corregidor" Palace has been registered as being of historical-artistic interest since 1962. The reformation was extensive and opened as a hotel was shortly after in 1966. Only the façade and communal rooms on the front are the original building. A Corregidor is a name for an historic post, appointed directly by the King, in more important towns, similar to that of a Mayor and a Magistrate combined. The location is one of the key features of the Parador de Arcos. Although it is mostly a new building it is representative of local medieval architecture. The triangular building plan takes full advantage of one of the most privileged sites of Arcos. The front overlooks the Plaza del Cabildo, the side overlooks the River Guadalete and countryside and the other, in a curve, backs onto the Convent of the Mercedarias. This triangular site was occupied by small houses of one, two or three storey which were demolished. Structurally it is two buildings, the main facade with neoclassical pillars and its building is original stone. It gives the Parador its general arrangement and its three storeys. The ‘new' building that faces the river is separate from the original structure so that, in case of ground movement, it does not affect the older structure. 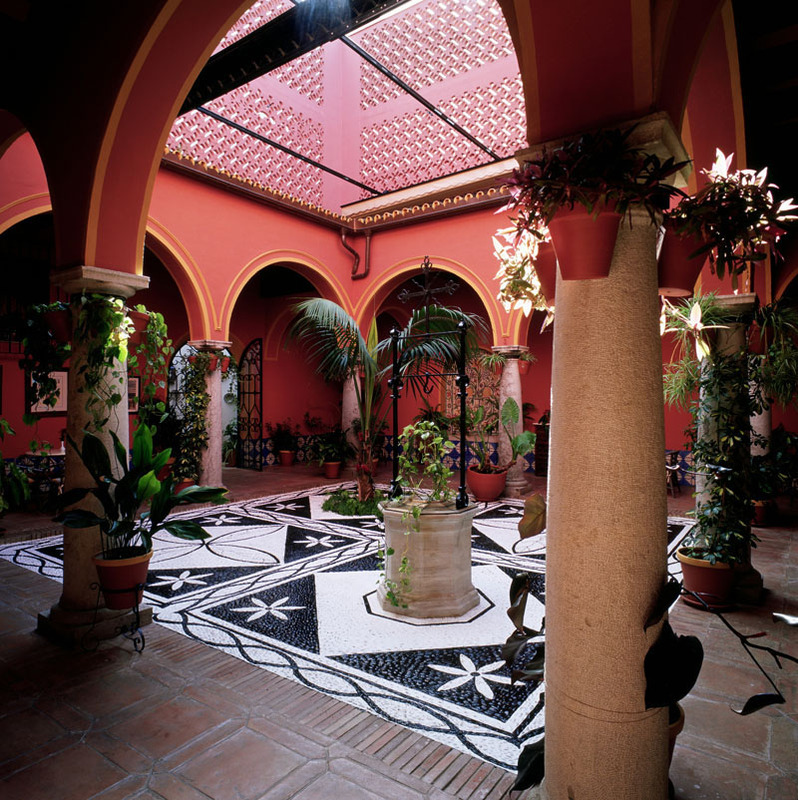 The interior has tried to recreate the typical atmosphere of the Andalucian houses, being structured around an entrance hall and Andalusian patio and small secondary courtyards. The dining room, lounge area and café overlook the terrace to take advantage of the magnificent views. .
Pedro Antonio de Alarcón's novel ‘The three-cornered hat' is a masterpiece of the Spanish ninetheenth century picaresque. It tells the story of a miller, his attractive wife and the local Corregidor, (mayor / magistrate) who has designs on her. The three-cornered hat represents ‘power' to those who wear it - a power that is satirised by Alarcon. It was the base of the comic opera titled ‘The Corredor'. Although Alarcon is from Guadix, the novel is set in Arcos de la Frontera, specifically the old house of the Corregidor, Eugenio de Zúñiga y Ponce de León. Located in a three-sided plaza along with the Ducal Castle and the Santa Maria church.